The University of Alaska is moving forward with a controversial Haines-area timber sale. Amid concerns, the University’s Board of Regents delayed advancing the sale at its last regular meeting. But, with more information in front of them this week, regents were nearly unanimous in their decision to approve a development and disposal plan. 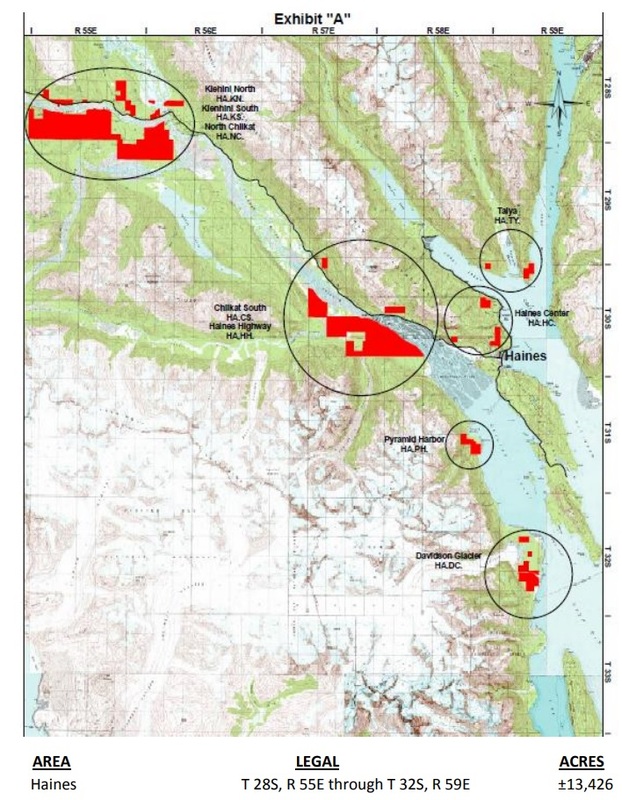 At a special meeting this week, regents voted 9-1 to approve a development and disposal plan for the sale of timber on 13,400 acres of its land in the Chilkat Valley. The vote authorizes the university to move forward with contract negotiations for the 10-year negotiated sale, announced in March, estimated to generate 150-million board feet. Regents heard from University of Alaska President Jim Johnsen. Johnsen presented information on the history of the University’s land grants and how those lands have been developed. He also discussed where that money goes, and recent examples of successful harvests. The university has about 150,000 total acres in land grants, which fall into different categories. Johnsen said the university wants to diversify its revenues, by increasing those coming in from timber. The Haines project is estimated to bring in $10 million. He said revenue from land development funds things like the Alaska Scholars Program, University of Alaska Press, and Cooperative Extension. After hearing from Johnsen, Regent Andy Teuber was the only one to vote against the approval. Others, like Dale Anderson, spoke in favor of moving forward, particularly because of the economic opportunities for the university and local residents. The University estimates the sale would create 55 to 60 new local jobs in its 10-year span. Regent Karen Perdue, who lived in Southeast for many years, voted in favor of the approval, but said success will come in finding a balance. A portion of the land included in the timber sale falls within the bounds of the Chilkat Bald Eagle Preserve. However, this harvest would be permitted, because University lands are excluded from restrictions imposed on the preserve. Johnsen said the University is working to address concerns about eagle habitat, to minimize or eliminate impact. According to his presentation, the timber harvest area could end up being much smaller, depending on environmental requirements. Regent Lisa Parker said she feels confident in the University’s work on the project. In the Chilkat Valley, the proposed sale has drawn excitement from residents who see a big economic opportunity for locals. Many others fear it could alter the land in a way that has real consequences for the environment, including fisheries and other wildlife. The Haines Assembly continues to have disagreements on the sale. Some assembly members and the borough manager at a meeting Tuesday expressed concerns that the interactions with and positions of the local government were misrepresented to the regents. Tom Morphet suggested asking the university to press pause until an advisory vote can be held to gauge local support. Still, others expressed concerns about the assembly being too adversarial. Based on feedback from the public and regents, the university has developed a set of guiding principles for moving forward. It also plans to work with a local advisory group. Once negotiations are completed, the contract will go back to the Board of Regents for approval. That is expected to happen later this summer. The university is working with the Division of Forestry and Mental Health Land Trust on the project. A multi-agency review will be conducted through the permitting process, and there will be future opportunities for public comment.